I have reminiscently written about the Russ and Daughters shop here and here. The recently opened Russ and Daughters Cafe on Orchard St. is act II to the carry out 100 year appetizing shop on East Houston St. on the Lower East Side in Manhattan. 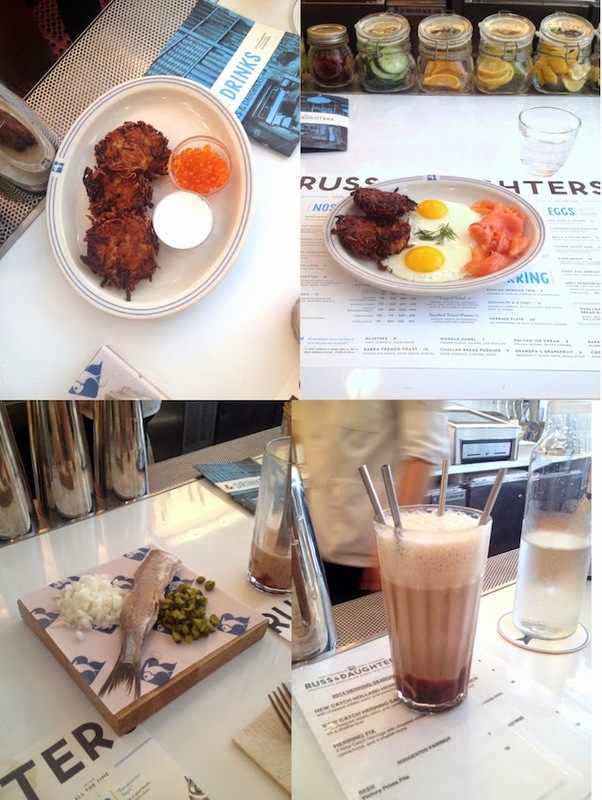 As you might know, I am a monthly contributor at The Jewish Food Experience where I shared a review of my recent visit to the newly opened cafe when I was in NYC in July for our anniversary. The editor cleverly titled the piece 'Old and New and So Appetizing.' Head over to read it, and when in NYC, visit these iconic establishments. Great food! That fish looks particularly good.